Most people have read a novel or watched a movie revolving around private investigations. Such scenes and narrations depict the work of private investigators as dangerous and requiring only roughnecks to carry out the task. Such depiction is not always right, and there is more to private investigation. Private investigators are intelligent, talented and experienced professionals having roots in other various fields of employment. A majority of them are ex-military personnel, former law enforcement officers, and retired government agents. Some transcend from other professionals such as accounting, finance, investigative reporting, law, insurance, commercial credit, etc. Such individuals apply their experience and skills in a field of inquiry related to their past work and become experts in that area. Private investigators conduct investigations for business, organization or even private individuals. They help their clients find answers and address concerns of their interest. They can also work for lawyers in a court case on behalf of a defense counsel or client. Many private eye firms work for insurance companies to interrogate suspicious insurance claims for their client. Some people will hire a private investigator in Houston to look for evidence of adultery or misconduct within a marriage to establish the basis for divorce and child custody. Some researchers conduct process serves, skip tracing and in the course of locating missing persons. 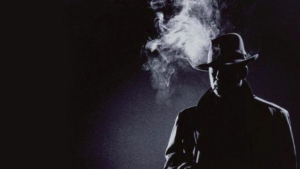 As a business, many private eye agencies specialize in a particular field of expertise. Some specialize in fraud investigation, computer forensics, surveillance, corporate espionage, tracing missing persons just to mention a few areas. Professional investigators seek and forward the collected information to the client without prejudice and opinion. The principal purpose of the investigation remains to uncover and provide essential facts and forward the data confidentially to the customer. Private detectives often find themselves working during irregular hours depending on the needs of their case. Such needs surveillance and contacting individuals who are unavailable during regular working hours. Therefore, private investigators will work early mornings, evenings, nights as well as during weekends and holidays. Most of them work away from the office conducting interviews and surveillance. However, some have to work in the office making phone calls and doing computer searches. Those running an investigation agency and employ other investigators work majorly in the office within regular working time. Some tasks require the detectives to arm themselves. Such situations include bodyguard assignment for celebrity or corporate clients. The relevant authority must license a private investigator for them to carry a firearm while on duty. However, many do not require a weapon, especially because the work requires collecting information and not criminal apprehension or law enforcement. To carry out their work, private investigators must acquire a permit from their state. Many countries have enacted legislation that governs the private investigation business in their states. Some states, however, don not require such licensing. Patience is an essential tool to any private investigator. Detectives spend a lot of time on surveillance and field activities. They spend plenty of time following target individuals to provide their client with information. They also spend hours on the computer looking up information crucial to a case. Movies and books dramatize the private interrogator job, but it is not all glamor. There is some danger associated with the job mainly because the job involves confrontation now and then. However, private investigators hardly encounter any physical harassment that can cause bodily injury while on their job. A significant advantage when compared to the government agencies is that private investigators are more anonymous than government personnel.